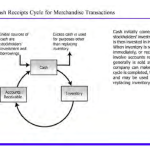 Account for all cash transactions accurately so that correct information is available regarding cash flows and balances. Make certain that enough cash is available to pay bills as they come due. Avoid holding too much idle cash because excess cash could be invested to generate income, such as interest. Prevent loss of cash due to theft or fraud. 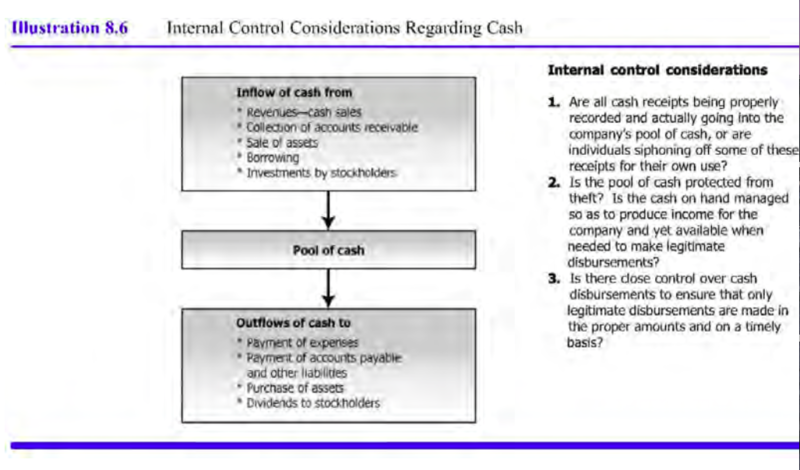 The need to control cash is clearly evident and has many aspects. Without the proper timing of cash flows and the protection of idle cash, a business cannot survive. 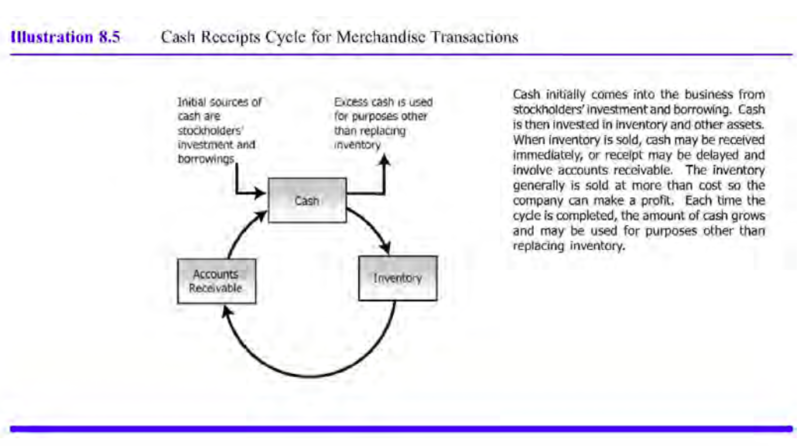 When a merchandising company sells its merchandise inventory, it may receive cash immediately or several days or weeks later. A clerk receives the cash immediately over the counter, records it, and places it in a cash register. The presence of the customer as the sale is rung up usually ensures that the cashier enters the correct amount of the sale in the cash register. At the end of each day, stores reconcile the cash in each cash register with the cash register tape or computer printout for that register. Did you know? The cheapest and easiest internal control test is by involving the public. If a company requires all transactions be entered in the cash register, the company can do a “promotion” that will verify employees are following this. The promotions would be like “If you receipt has a red star on the back, get a free cookie” or “If you do not get a receipt, receive a free drink”. Sound familiar? The public is now looking for a receipt for each transaction and will ask if they don’t receive it. The benefit of finding theft will outweigh the cost of giving away a little free food. Prepare a record of all cash receipts as soon as cash is received. Most thefts of cash occur before a record is made of the receipt. Once a record is made, it is easier to trace a theft. Deposit all cash receipts intact as soon as feasible, preferably on the day they are received or on the next business day. 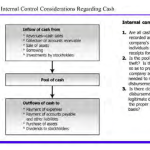 Undeposited cash is more susceptible to misappropriation. Arrange duties so that the employee who handles cash receipts does not record the receipts in the accounting records. This control feature follows the general principle of segregation of duties given earlier in the chapter, as does the next principle. Arrange duties so that the employee who receives the cash does not disburse the cash. This control measure is possible in all but the smallest companies. Make all disbursements by check or from petty cash. Obtain proper approval for all disbursements and create a permanent record of each disbursement. Many retail stores make refunds for returned merchandise from the cash register. When this practice is followed, clerks should have refund tickets approved by a supervisor before refunding cash. Require all checks to be serially numbered and limit access to checks to employees authorized to write checks. Require two signatures on each check over a material amount so that one person cannot withdraw funds from the bank account. Arrange duties so that the employee who authorizes payment of a bill does not sign checks. Otherwise, the checks could be written to friends in payment of fictitious invoices. •equire approved documents to support all checks issued. Instruct the employee authorizing cash disbursements to make certain that payment is for a legitimate purpose is made out for the exact amount and to the proper party. Stamp the supporting documents paid when liabilities are paid and indicate the date and number of the check issued. These procedures lessen the chance of paying the same debt more than once. Arrange duties so that those employees who sign checks neither have access to canceled checks nor prepare the bank reconciliation. This policy makes it more difficult for an employee to conceal a theft. Have an employee who has no other cash duties prepare the bank reconciliation each month, so that errors and shortages can be discovered quickly. Void all checks incorrectly prepared. Mark these checks void and retain them to prevent unauthorized use. In the next section, we discuss the bank checking account. If you have a personal checking account, some of this information will be familiar to you.